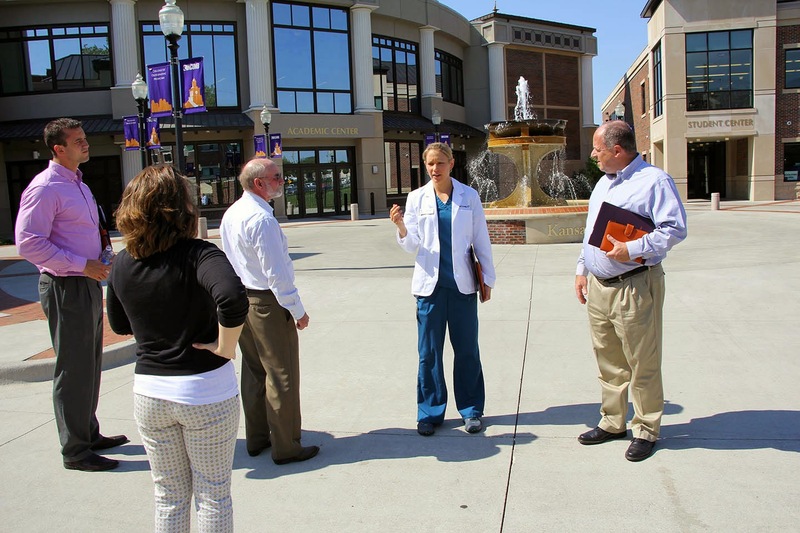 Members of the Missouri Biotechnology Association (MoBio) visited the KCUMB campus on Sept. 25 as part of a statewide tour with legislators to promote engagement between Missouri's policymakers and the state's biotechnology leaders. Warren Love and David Wood, both members of the Missouri House of Representatives, and Brian Munzlinger, a member of the Missouri Senate, were among those who attended. Jeffrey Joyce, Ph.D., vice president for research, and Robert White, Ph.D., dean of the College of Biosciences, gave state legislators a glimpse of KCUMB's renewed focus on research.